Greystone Wines began in 2000 when the Thomas Family purchased a farm with exceptional limestone soils in the Omihi hills in Waipara. Viticultural specialist Nick Gill was bought over from Penfolds to plant 13 blocks on this unique terroir and by 2004 work was complete. 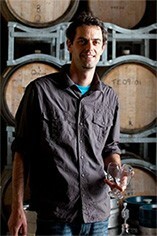 Dom Maxwell, who had been working as an accountant in London, was hired as the winemaker and the first vintage was 2008. It is the soil on this site that makes it particularly interesting with hard limestone rock moving down towards clay on the north-facing slopes, providing excellent terroir for Pinot Noir. Greystone’s top wine, The Brothers’ Reserve Pinot Noir, comes from a small, single block made up of solid limestone with a small amount of clay. The wine matures for 15 months in 70 percent new French oak and is bottled without fining or filtration. 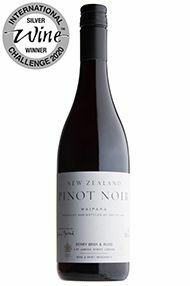 The 2012 vintage on show today won the International Pinot Noir Trophy at the 2014 Decanter World Wine Awards.